Duke of Richelieu - Frank Parlato Jr. Originally published in 1952, in The Modern Review, Kolkata. The Duke of Richelieu, a Marshal of France and scion of the French nobility, died on May 30, 1952, at the age of seventy-six. As a young man, the Duke, who was the last to bear his illustrious title, had been a great admirer of Swami Vivekananda, whom he had known rather intimately. He cherished his admiration for the Swamiji till the end of his life. The full name of the Duke was Marie Odet Jean Armand de Chapelle de Jumilhac, Duc de Richelieu. The title was first conferred upon Cardinal Armand Jean du Plessis by Louis XIII. Before the Cardinal died he obtained permission to bequeath the title to his grand nephew, Jean de Vignerot, an ancestor of the Marshal. Another of the Duke's ancestors served in the Russian army under Empress Catherine and founded the city of Odessa in the early nineteenth century, subsequently returning to France to serve as Premier under Louis XVIII. The Duke of Richelieu, born in Paris , was the son of the second Duc Armand de Richelieu and the former Marie Alice Heine, who after her first husband's death married Prince Albert of Monaco. He studied at a Jesuit school in France and graduated from the University of Aix-en-Provence . In 1913, he married miss Elinor Douglas Wise, of Baltimore . The ceremony was performed by the late Cardinal Gibbons, who gave the opening benediction at the Parliament of Religions held in Chicago in 1893. The Duchess, who studied voice in France with Mme Emma Eames, the noted American singer, gave many concerts for the benefit of tubercular French soldiers. In 1930, the Duke presented his chateau and its park of more than one thousand acres, which originally belonged to Cardinal Richelieu, to the university of Paris as a place of rest for French professors and a guest-house for visiting foreign professors. The Duke travelled extensively in Europe and America and was regarded as an authority on eighteenth century English literature. He could speak fluently in several European languages and was brilliant in conversation. Even in casual talk he was able to draw striking comparisons not only between modern writing and that of the past, but between historical developments of today and yesterday. The Duke was a keen student of politics. I spent many hours with him in political and cultural discussions and thoroughly enjoyed his penetrating wit. He never indulged in small or cheap talk. I first met the Duke in 1934 when I was crossing over to France. Immediately after the ship had left the pier in New York , I was told by Princess Matchabelli that the Duke of Richelieu earnestly wanted to speak to me. We met after dinner on the deck of the tourist class, by which I was travelling. He said to me that he had known Swami Vivekananda. They had met in Paris in 1900, at the house of Mr. and Mrs. Francis H. Leggett, devoted disciples of the Swamiji. It was the time of the Paris Exposition, in connection with which the late Sir J. C. Bose was the Indian representative at the Congress of Scientists. The Leggetts used to invite notables to their house and entertained them lavishly. About Swami Vivekananda the Duke said that he was a singularly handsome man. At first he had taken the Swamiji for one of the Indian yogis known in Europe as performers of tricks. But soon he came under the spell of the Swamiji's personality and visited him regularly for several weeks. One day Swami Vivekananda said to the Duke that he was leaving for India the next day and wanted to know if the Duke would give up the world and become his disciple. The Duke asked what he would receive in return. 'I shall give you the desire for death,' the Swamiji replied. The Duke laughed, thinking that the Swamiji was being silly. He had just graduated from the University and was about to enter upon a career _ what would he do with death? He asked the Swamiji to offer something more tempting. The Swamiji said, gravely, 'If you become my disciple, I shall give you a state of mind such that when death comes you will laugh at it.' The Duke thought that the Swamiji was teasing. The next day Swami Vivekananda left and they never met again. The Duke of Richelieu told me that for thirty years he had completely forgotten Swami Vivekananda. Two years prior to our meeting, however, he had passed through a certain crisis and a great change had come over his life. Suddenly one day every word Swami Vivekananda had said to him came back to his mind, and he became very eager to know where the Swamiji was or what had become of him. He inquired about the Swamiji in Paris , New York , and London , but could obtain no information about him. When he saw my name on the passengers' list on board ship, he thought I might be able to tell him about Swami Vivekananda. We had ten delightful days together on the ship, holding stimulating conversations in the evening after dinner. The Duke gave me a letter of introduction to the President of the Sorbonne and said that we must meet again in New York . He told me that he had a house in New York City not very far from the Ramakrishna-Vivekananda Centre. We saw each other many times in New York . Both the Duke and Duchess became fond of me and often invited me to their house for dinner or luncheon, where I met noted men in politics and public life. On several occasions the Duke and Duchess came to the Centre for dinner. The last time I saw the Duke was in Miami , Florida , in April, 1952. We had lunch together and he discussed the present world tension from a philosophical standpoint. He looked very fragile. But as usual he was very animated and excited in conversation. After returning to New York he caught pneumonia, which proved fatal to him. The Duke was full of respect for Swami Vivekananda and bore toward him sincere affection. In the Duke's opinion the Swamiji stressed the value of the individual as against the group. The individual can effectively influence the group by remaining distinct from it, and not, like a labour leader, by identifying himself with it. Further, the individual need not cut himself away from the group for his own benefit, as asserted by medieval Christianity. 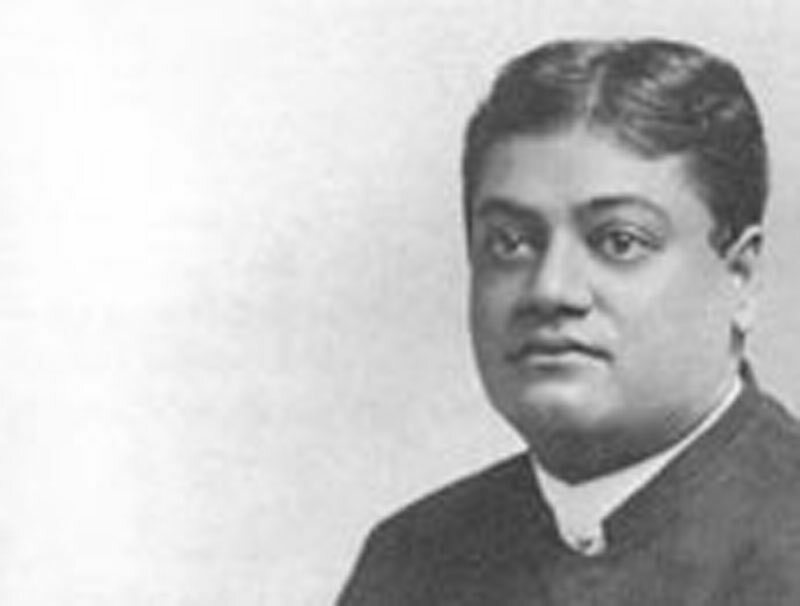 According to Swami Vivekananda, the Duke thought, the true worth of the individual lay in his being universal, and that of the universal in its being individual. He further said that in Vivekananda, the confusion of life was resolved into distinctness of consciousness, as in art the obscurity of sentiment and feeling is transformed into the lucidity of representation, because it itself creates the image _ the unity of the image. The Duke learnt from the Swamiji that God is near Truth but is not Truth. Swami Vivekananda said to the Duke that love is higher than work, yoga, and knowledge. In the Duke's opinion, man is not passive, but is an active agent; and history seemed to him to be the story not of man's evolution, but of his creation, of his conscious effort to bring about change both in himself and in his surroundings. During the past few years the Duke of Richelieu was in indifferent health. He knew that he was living on borrowed time. We saw his slight body wearing out day by day from an incurable illness. But his power of mind remained unimpaired till the very last. In conversation he often towered high over the intellects of others. Courtesy and culture radiated from every pore of his skin. Whenever he came to our Centre for dinner, he would go to the kitchen, after the meal was over, to thank the cook and the maid personally for the food. With the passing away of the Duke of Richelieu a link with the past has been severed. I felt highly honoured when the Duchess requested me to be one of the honorary pall-bearers at his funeral.